Offering Beachfront Dining, Spectacular Room Views, & Many More Amenities…. Book Your Wedding On Our Beautiful Beach or Any Special Event At Our Resort! The resort is nestled on the south side of Jacó Beach, often referred to as the quite side of town is in close proximity to town. 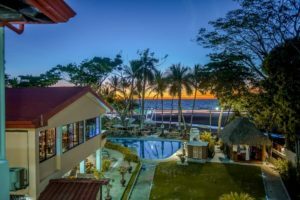 Our 26-room, intimate oceanfront property is located on the south side of Jacó Beach and is within a few minutes walk to all of the stops, restaurants and activities that the city has to offer. Take a stroll down the beach, let us arrange an excursion or adventure for you, explore the streets of Jacó or simply lounge by the pool. Every day enjoy a spectacular panoramic view of the endless Pacific Ocean, exotic jungle and magnificent mountains, all while experiencing a breathtaking, colorful Costa Rican sunset. We offer all amenities you would expect from a large resort in one beautiful and quaint package. These amenities include full beachfront spa services, beach activities like surf lessons and surf board rentals. Enjoy our beachfront dining as well as our air-conditioned dining and special events at our beach club. Whether you are looking for a romantic getaway for two, a fun adventurous vacation for the entire family or planning a corporate event or destination wedding, we have an dedicated staff ready and willing to assist you with every detail. 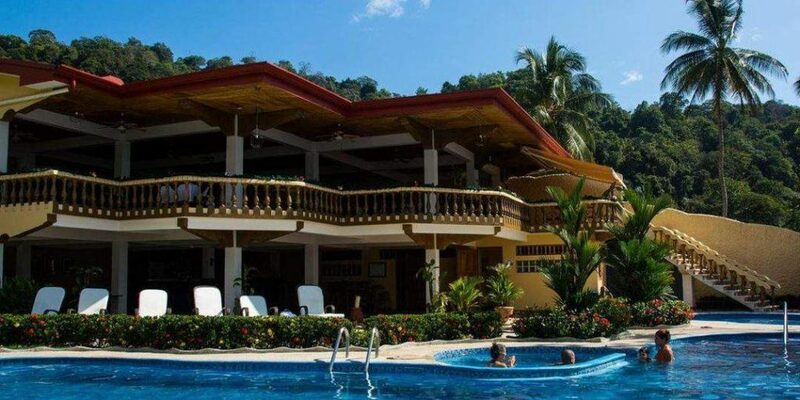 This hotel is an incredible Costa Rica beach resort located in Jaco. The resort is the perfect place for a relaxing, quiet vacation. The amenities are first class, and the Jaco Laguna staff are helpful and friendly. I would not hesitate to recommend this resort to friends and family. It is a family-friendly resort with plenty of outdoor activities to explore like surfing and horseback riding. Highly recommended! Perfect location on beautiful beach!! Clean, resort, sturdy, attractive wooden furniture & comfortable bed. Breakfast choices could be improved. The view from the handcrafted rocking chairs immediately outside our room was magnificent!! The beach, palm trees, swimmers and surfers made for interesting viewing. 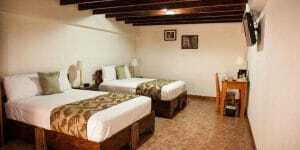 The entire resort is clean, and filled with quality furnishings. We loved this place!! The view from the handcrafted rocking chairs immediately outside our room was magnificent!! The beach, palm trees, swimmers and surfers made for interesting viewing. The entire resort is clean, and filled with quality furnishings. The staff is very helpful. We did not find the bathroom to be too small. This really is a hidden gem on Jaco Beach! Early morning beach walks are a necessity! This is the 2nd time staying in this intimate resort! Right on the beach south end of Jaco Costa Rica. Quiet but close enough if you want to go into town. 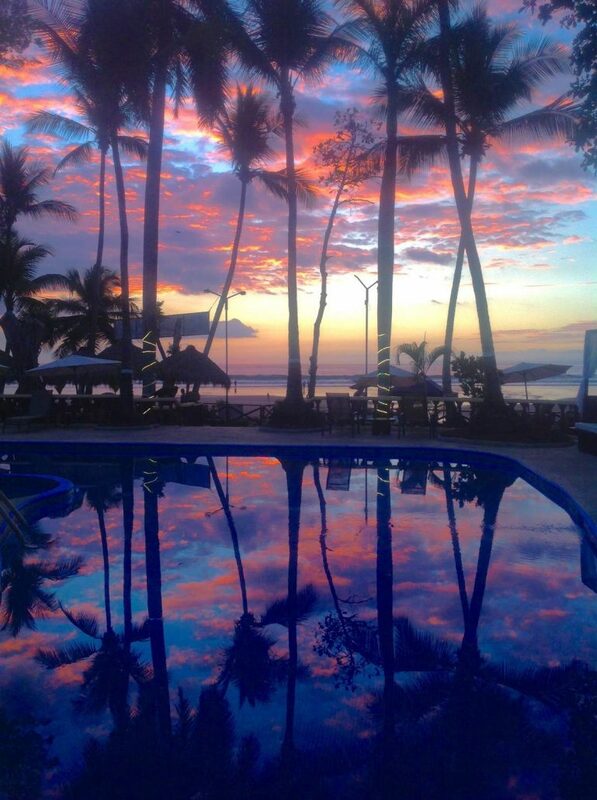 Nice pool and Tikki Bar perfect for the Amazing sunsets! Simple rooms but exceptionally clean. Love it here so much!! Best kept secret in Jaco Beach This is the 2nd time staying in this intimate resort! Right on the beach south end of Jaco Costa Rica. Quiet but close enough if you want to go into town. Nice pool and Tikki Bar perfect for the Amazing sunsets! Simple rooms but exceptionally clean. Love it here so much!! This is the 2nd year I visited Jaco Laguna Resort. 5 stars. Very clean, super quiet, relaxing, great pool. Resort is the perfect distance from town, as to be quiet at night, but just a one minute drive to downtown. I highly recommend this resort. We stay for 10 days each year, everyday we find a new activity that is close to the resort. There is surfing, horseback riding, ATV’s. Fishing, WATERFALLS !!! All nearby. Staff were fantastic - so helpful with things to do outside the resort. Location was great as well.. -Mini fridge in the room would have been great and more English TV stations. +Está frente a la playa y las instalaciones son bonitas.. -El colchón de una de las camas se hundía en el centro, por lo que era un poco incómodo. This hotel is right on the beach! Lovely place. I would definitely return. Really nice place to stay for Costa Rica on a budget, walk out the back and your on the beach that goes for miles, no refrigerator in the room, but they have tiki bar that’s open late. Amazing fun place I just got back from this great resort again and I laugh at some of the reviews I read. I have visited just about every hotel in town and this place is way better than the rest. They just recently remodeled and also added live music a few times a week, I was there last Saturday and they had about 250 people there enjoying the music and eating the high quality food they serve. I had fresh tuna as all their fish is fresh daily and it was outstanding. This hotel should be number one on trip adviser. I will never stay anyplace else when in Jaco. The Tiki bar is fabulous. Great Stay A wonderful place tucked away on the south end of the beach away from the main part of Jaco but still within walking distance or short cab ride to the centre of town. Room was great with two king sized beds. The only thing that would have been nice, would have been a fridge. Room was clean and quiet. An in-room safe was a great feature as well. The only negative thing was the laundry service. Clothes were returned still quite damp, only a few items folded and very dingy (did not seem clean at all but did smell nice) and the price was astronomical. $40 US for two small bags. I would have much preferred to have had the option to do my own laundry. The food was amazing. We ate almost all our breakfasts and suppers there. Never had a single thing we didn't like. Drinks at the Tiki bar were awesome as well. An easy walk from hotel to El Miro lookout (ask at desk about this one) and also the Jaco lookout along the highway. The staff is more than happy to set up tours etc. Many Scarlet Macaws are seen nearby. Surf lessons available just outside the property. Chapo and the instructors had all our kids up and riding the waves after lessons. Other folks didn't have the same results. The tiki staff also make a amazing smoothie. All so friendly and genuine. Thank you we will be back. +Perfect location and very nice staff. Charming hotel that felt very familiar. +Tutto a parte il servizio mare. No lettini free.. -No lettini in spiaggia free. Family vac We ended our 2 weeks trip in CR with 5 days in Jaco. Perfect relaxing beach hotel with great possibilities to surfing, zipline horseriding etc. The staff was very friendly, surroundings beautiful and cosy and the best location on the beach. The food was great, could take some time to get it served though. New year was amazing with bonfire and marshmallows for the kids before they went to bed. Very familiar and friendly. We travelled with 3 children aged 5-12 and we definitely recommend it to everybody coming to CR for a some days sunbathing on the south side 🙂 We hope to come back! We stayed next to Laguna in a rental home (can't comment on the rooms) and the staff were always welcoming with great appetizers, entrees and drinks. Wonderful breakfast. They rent surf and boogie board right out front on the beach-very affordable. We got massages there and it was awesome. Fab accom Stayed here for 5 days and cannot fault it. Right on the beach where we were able to enjoy surfing lessons. Absolutely fabulous food and staff couldn't have been more helpful. The manager/owner Jason is such a friendly guy and was able to offer lots of advice on where to visit etc. Beds were more comfy than my bed at home. Would definitely recommend this accom to anyone. If you want to be in the thick of the partying scene you may want to get somewhere more central to Jaco city but being just on the outskirts suited us perfectly. I could hear children playing with their toys right above our heads. So I asked for a different room at the desk and the nice girl gave us the key to #15 to check it out first. We switched to that room, it was big and had a good size bathroom, comfortable bed and pillows. Love the coffee in the room only wish there were mini refrigerators. The food was excellent, good sized portions and great prices. Better than eating in town. Really appreciated the owner taking some time to introduce himself and make sure our stay was enjoyable. The location is perfect, it was quiet yet close to everything. and the beach area was beautiful. We would Definitely go back! We live in CR & have been traveling to several areas in CR & know what’s good & bad. This is a great little place no matter what anyone says. Mom & Pop Hotel & very relaxed in low season. Great owners & staff. Very plain, simple rooms but quiet, comfortable, & very clean. It has a few cats on the property that keep the mice & other critters away. It’s on the south end of Jaco so away from the chaos of the city & a long walk into town, shorter walk on the beach. The food was pretty good, esp dinner. The beach & lagoons were very clean. In High Season, or CR Holidays, there can be a lot of trash, Sad, but it’s a developing country with many very poor people & people are learning to s-l-o-w-l-y clean up after themselves, everywhere here. Don’t take anything valuable or leave anything on the beach. Keep in mind, CR is a Jungle with bugs, birds, critters & volcanoes. Many beaches here have dark sand & rocks. Ck the tide charts because at low tide, the beach is smooth sand & at high tide, you can’t see the sharp rocks under the water. I never go barefoot on any beach, anywhere. Jaco can be a Sketchy place @ night, so start early & enjoy this beautiful country. Amazed. 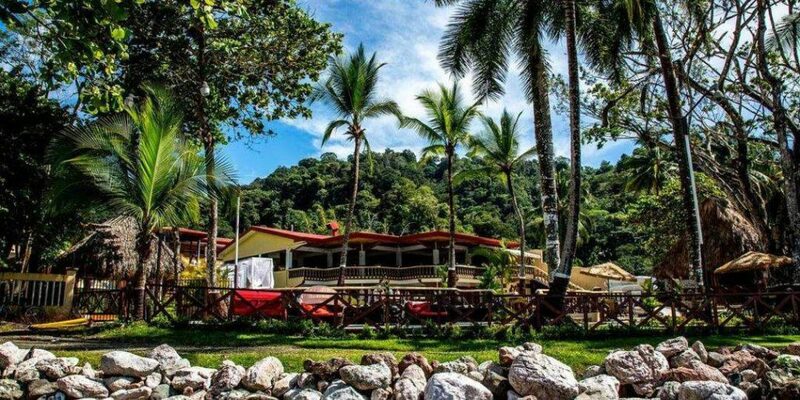 Excellent location, beautiful place overall, the rooms are super roomy, the beach is right outside, food was delicious and well priced for being a hotel, the staff was very friendly and the pool is perfect. Only draw back was that pools were dirty the 2 days we were there. The rooms were also very well priced. Paradise!! I just stayed at the resort for a week and it was a great experience. The resort is about a mile south of all the craziness of downtown Jaco. It’s a two minute cab ride to get to the action but you will enjoy the bliss. The resort is very clean and the staff are very friendly. The Tiki bar is a great spot to watch the sunsets and the beach is right in front of you. There is an outdoor massage casita and you can get surfing lessons right on location. Highly recommended! Great hotel ! Despite some bad reviews, my friend and I had a great stay at Jaco Laguna. 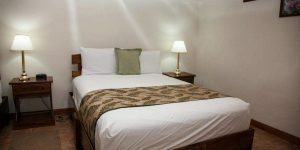 The service was friendly, rooms clean and comfortable. The beach access is incredible, with a nice pool. The tiki bar was an added plus. Would definitely come back here, and wish we had stayed longer. Plus- the surf school on site is amazing and reasonably priced ! Know The History Of Jaco, Costa Rica Before You Visit! Costa Rica is a beautiful country located in Central America. The country is bordered by Panama to the southeast, Nicaragua to the north, the Caribbean Sea to the east and the Pacific Ocean to the west. The population is almost five million and almost a quarter of the people live in San Jose, the largest city in the country and its capital. 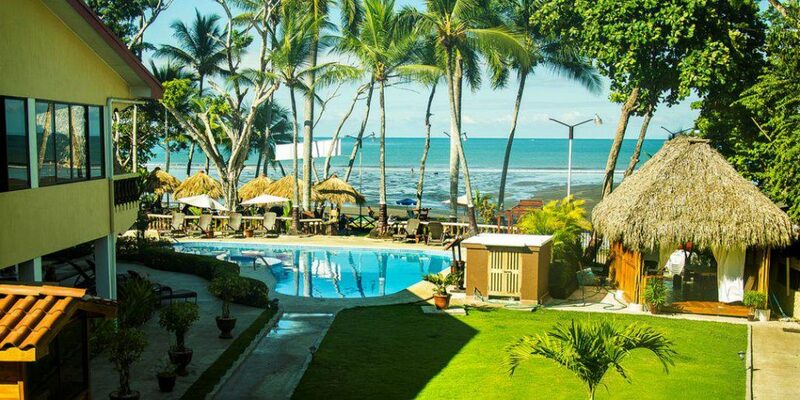 Jaco Laguna Resort offers one of the best beach resorts in Costa Rica. Our four-star resort and beach club offer beachfront Costa Rica wedding packages and amazing ocean view vacation suites all year round. The country boasted pristine surfing location. The beautiful bay is surrounded by oceanfront bars and high-rise condominiums. The waters of the bay may be challenging for beginning or inexperienced swimmers. There are also other great areas that the entire family can enjoy. It was because of this stable, prosperous climate that Charles Elwood Jaco, a successful oil tycoon from Texas in the United States, envisioned creating a resort city in the country. Jaco inherited land along the coast of Costa Rica and wanted to create a family-friendly resort community that could be enjoyed by almost anyone. He named the resort city Jaco and wanted it to be a place to be enjoyed by visitors and his family members, including his three children and his grandchildren. Jaco worked on the resort quietly for many years. The tycoon died unexpectedly in 1977 at his ranch in Texas. Jaco, Costa Rica has developed into the resort community that was the dream of Charles Elwood Jaco and today guests from all over the world visit to enjoy the beautiful beaches and other attractions in the area. It is one of Costa Rica’s major tourist destinations and offers visits just about anything they want. Jaco Laguna Resort is one of the top-rated wedding destinations in Costa Rica. 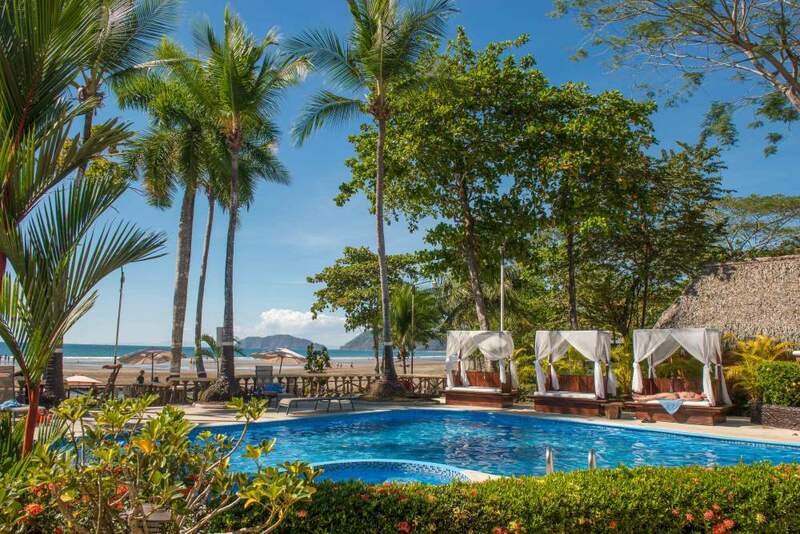 Our resort in Jaco is the only four-star beachfront boutique hotel and resort in Costa Rica’s central Pacific coast. We offer all the amenities you would expect from a large resort in one beautiful and quaint package. We offer our guests full beach front spa services, beach activities, including surf lessons and rentals, beachfront dining as well as air-conditioned dining and special events. The Jaco, Costa Rica area is rapidly becoming a real hotspot for retirees, tourists and even locals and developments are booming. The recently opened highway provides quick access from the international airport. Also, planning and construction on a brand new international airport 35 minutes from Jaco beach are underway in the town of Orotina, Costa Rica. Jaco is considered one of the best surfing locations in the entire world. The area boasts some of the most challenging waves anywhere, and visitors can take surfing lessons at many locations. Jaco is also a great spot to relax and rent a boat to explore the surrounding waters. 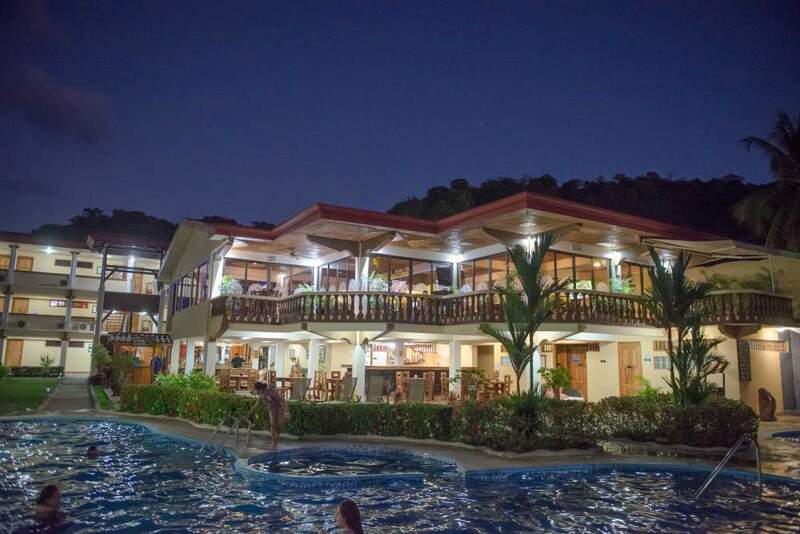 Our location in Jaco is one of the premier Costa Rica beach resorts for easy access to all fun activities like surfing and boating inshore and offshore fishing as well as ecotourism. There are numerous options for dining and lodging, and the nightlife is full of exciting possibilities. The city of Jaco is considered Costa Rica’s primary surfing location. The beautiful bay is surrounded by oceanfront bars and high-rise condominiums. The waters of the bay may be challenging for beginning or inexperienced swimmers. There are also other great areas that the entire family can enjoy. Visitors to Playa Blanca can tour the area on horseback. This area includes a gorgeous, undeveloped beach with swaying palms and beautiful white sand. When visiting Costa Rica be sure to check out Jaco. The history of Jaco, Costa Rica is very interesting and makes this a must-see destination when visiting the country. That is why the Central Pacific is the number one vacation destination in all of Central America year after year. At Jaco Laguna Resort, we offer wedding packages and vacations at the best Costa Rica beach resort destination on the Pacific coast. Vacation In One of The Last Remaining Tropical Paradises! Costa Rica is becoming the most popular tropical destinations in the western hemisphere, and rightfully so. 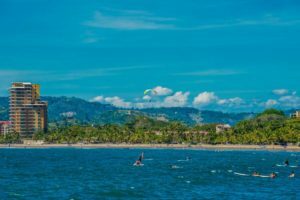 With the recent hurricanes severely damaging or destroying many of the Caribbean islands and Puerto Rico, coupled with rising violence and natural disasters in Mexico and elsewhere in South and Central America, along with the recent travel advisory in Cuba, tourists are more attracted to Costa Rica than ever before. 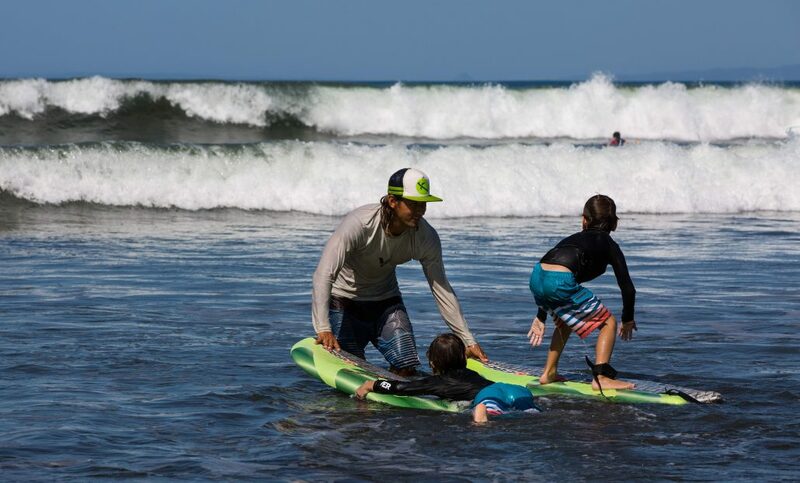 Costa Rica offers fifty-seven world class surfing beaches with all types of breaks, world-class sports fishing, tree top and rainforest adventures, waterfall tours, animal refuges, national parks and much more. Whether you simply enjoy sipping a tropical drink by a beachfront pool or surfing the Costa Rican pipeline, there is something for everyone of every age and background. 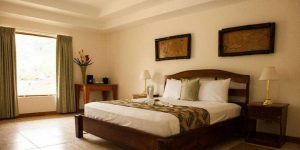 Costa Rica offers many various levels of accommodations and price ranges so just about anyone on any budget can afford a wonderful and safe trip to a tropical destination. From spectacular beaches to breathtaking volcanoes and tropical rainforests, Costa Rica has it all. In 1948 Costa Rica abolished their military and used that money instead to build up social programs like education and healthcare. However, Costa Rica’s best asset is its people. PURA VIDA is the national saying, and it means pure life. Costa Rica is consistently ranked in the top 5 happiest places to live. The people are warm and accommodating and willing to go out of their way to make sure newcomers have a positive experience in their beautiful country. From Guanacaste to Osa and everywhere in between, the country changes drastically in the landscape as well as flora and fauna. It has magnificent sunsets and just enough development that you can stay connected to the world back home if you must work while on vacation. 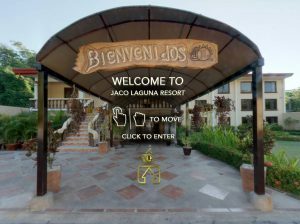 Jaco Laguna Resort, on the central Pacific coast in a little surf town, is one of those locations you will enjoy on your trip to paradise. Located only about one mile from the center of town the Laguna showcases the best Costa Rica has to offer. From the amazing cuisine to the hospitality and service international travelers have come to expect. You can’t beat the location; the hotel is located directly on the far south end of the beach. 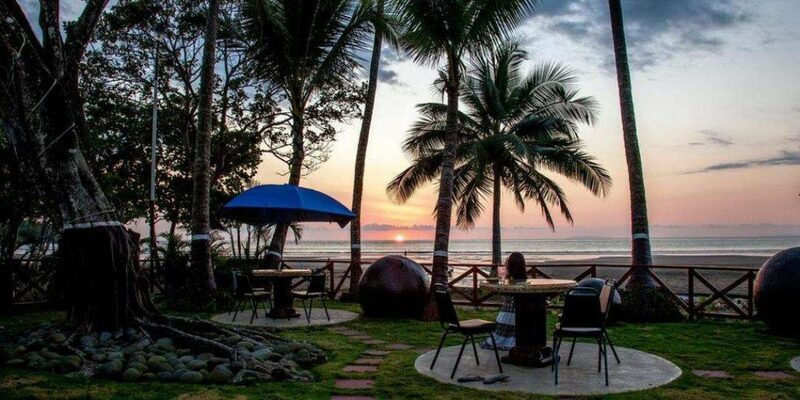 Jaco Laguna Resort boasts the only Tiki bar in all of Costa Rica. 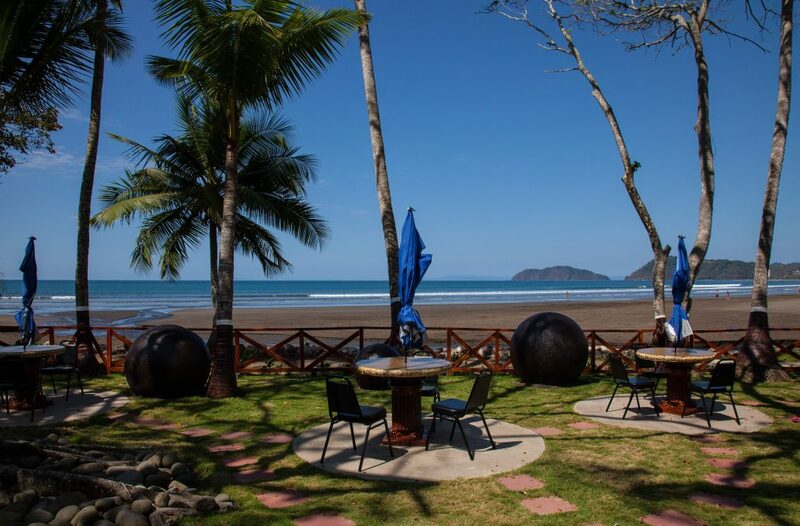 Our Costa Rica Beach Hotel offers one of the best beachfront views in Jaco. Come and do what so many have already done, discover Costa Rica and you may discover a new side of yourself you never knew existed. 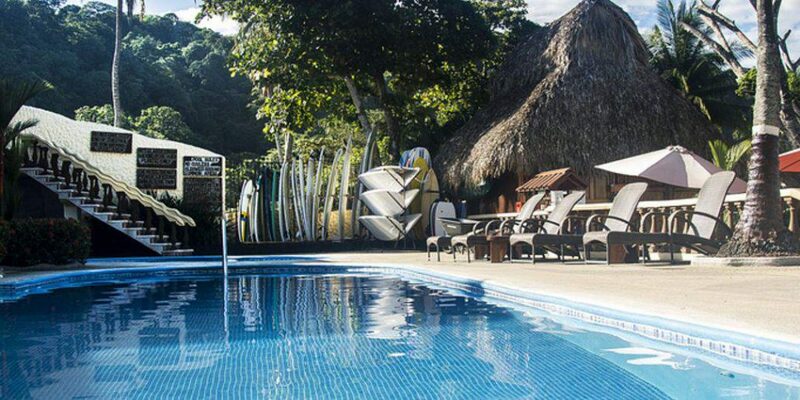 Make your tropical vacation destination at our Costa Rica Resort. You won’t be disappointed. Check Out The Drone Videos Of Our Resort!